​​​​​​​Kabbalat Shabbat, Friday, April 12, 7:30 pm – All are welcome at our short, musical Kabbalat Shabbat service. No RSVP is required. Childcare is provided. Join us! Bat Mitzvah of Amaya Korin, Saturday, April 13, 10:00 am – This Saturday Amaya Korin, daughter of Tatum and Saul Korin, will be called to the Torah as a bat mitzvah. Join us in celebrating with Amaya and her family, and welcome Amaya as a member of our community. Mazel tov! Morning Minyan, Wednesday, April 17, 8:30 am – Sam Sirkin will provide bagels and lead a short Torah study after the morning minyan to honor shloshim, the end of the 30-day mourning period, for Erin Farrar. Morning Minyan, Wednesday, April 24, 8:15 am – The April 24 Morning Minyan will begin earlier than usual, at 8:15 am, to allow time to say Hallel and read Torah in honor of Passover. (3) Community Minyan, Saturday, April 20, 10:00 am – Instead of a Text & Torah session, as announced in yesterday's community email, we will have a Community Minyan on April 20. (4) Lev Tahor (Pure Heart) Chanting, Monday, April 15, 7:00 pm – We will gather to lift sacred phrases through melody, harmony, and rhythm in order to open our hearts, clarify our minds, and cultivate qualities such as gratefulness and compassion. Interspersed with periods of silent meditation, the chanting will be guided by teachings and intentions from Rabbi Benjamin. Each of these gatherings is open to anyone – no experience, musical ability, or commitment necessary. Lev Tahor Chanting is free for members; non-members are asked to make a small donation. (5) Heads up: Lost and Found will be Emptied Soon! – The Lost and Found box has gotten very full again! Please take a moment to root around for your lost gloves, water bottles, scarves, toys, glasses, and other items. Anything remaining in the box will be taken to Goodwill after April 15. Contact Rachel Pollak at rachel@havurahshalom.org with concerns. This is also a great time to look through the closet for coats you have left. (6) Hametz Removal, Tuesday, April 16, 1:00 pm, Wednesday, April 17, 3:00 pm – On Pesach we keep our building free from hametz. Hametz means any of the five grains — wheat, oats, barley, spelt, and rye — which are not already in a product labeled specifically kosher for Passover. Any of those grains on their own or listed as an ingredient in a product not specifically certified as kosher for Passover needs to be removed before Pesach and should not be brought into the building until after the holiday is over. In addition to bread, this includes pasta, crackers, or cookies not explicitly marked kosher for Passover, as well as beer, whiskey, or any other alcohol made from grain. During Pesach the wine brought into the building should be labeled kosher for Passover. Products with hametz should either be removed from the building or placed in our freezer. Before the start of the holiday, we will tape up our freezer and label it as hametz. It shouldn’t be opened until after the holiday is complete. Kitniyot are foods which are not hametz but which were historically avoided by Ashkenazi Jews during Pesach. These include rice, millet, beans, peas, soybeans and corn, as well as any products made from them (e.g. tofu or hummus). At this point, many Ashkenazi Jews eat kitniyot. In any case, even among Jews who avoid them, there is no prohibition against owning them, so they do not need to be removed from our kitchen. However, when preparing food during Pesach, anything which contains kitniyot should be labeled as such, so that our members who do not eat kitnoyot can avoid them. (7) Community Forum: Zenith Tar Sands Oil Expansion, Wednesday, April 17, 6:30-8:30 pm (Gathering and tabling at 6:30 pm; Speakers, including Havurah's own 18-year-old, Solomon Duke, start promptly at 7:00 pm) – The Havurah Climate Action Team invites you to a community forum to learn more about Zenith Energy's Tar Sands Oil Expansion in NW Portland and ways to stop it. Zenith Energy is one of dozens of polluting industries on the banks of the Willamette River. It is expanding its terminal to accommodate four times the amount of oil trains loaded with Canadian Tar Sands crude coming through Portland for export to Asia. This is taking place without public input. Learn more here. (9) Counting the Omer: Seven Weeks of Spiritual Refinement, Wednesdays, April 24-June 5, 12:00-1:00 pm, Facilitated by Rabbi Benjamin – During the Counting of the Omer, which connects Pesach with Shavuot, each of the seven weeks represents a different sefirah, or attribute, so each week is an invitation to reflect on the presence or absence of that attribute in our lives, as a means of refining our awareness and behavior. At each of these meetings, we will connect with material about the sefirah of the week, reflecting on its meaning and how we understand its role in our lives. We will utilize various practices — meditation, chanting, contemplative study, and discussion. Guidance will be given for continuing practice and reflection during the rest of the week, helping us make the most of the Omer period as a whole. Our intention will be to form a trusting and supportive group as a foundation for this journey. A few spots are still available. RSVP here by this Friday, April 12 if you are interested. (10) Eastside Jewish Commons End of Passover Celebration, Saturday, April 27, 7:00-11:00 pm, Washington High School (1300 SE Stark) – Havurah encourages our Eastside members to join in this fun community-wide celebration which is the Inaugural Event of the Eastside Jewish Commons (EJC). 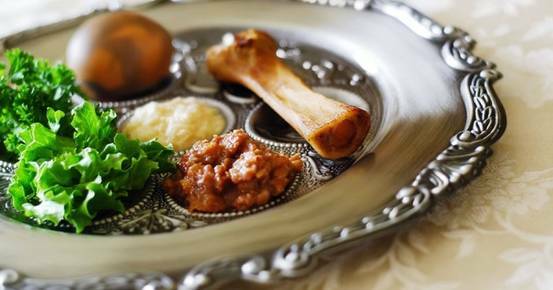 EJC invites the Eastside Jewish community to an End of Passover celebration. We will say “goodbye” to Passover and “hello” to Chametz as we celebrate a growing and thriving community on the Eastside. Live music, dancing, and food and drink respectful of the holiday will be provided. Kids of all ages are welcome. The event is free, but RSVPs are required to attend. Questions? Contact Mia Birk at miabirk1@gmail.com). RSVP here. (11) Happy Hour for New & Prospective Members, Sunday, May 5, 4:30-6:30 pm, Havurah Shalom – Happy Hour: A chance to connect for new members, new-ish members, prospective members, and all members seeking more connection. In the spirit of Panim el Panim: Encountering one Another, we'll meet face-to-face to shmooze, nosh, kibbutz, and learn about Havurah happenings ... and we'll leave with something "more" in us as we embrace Panim el Panim. According to Philosopher Martin Buber, a face gazing into another face is a moment of "revelation." RSVP here if you can join us! (12) Havurah-Ortiz Center Language Exchange – Would you like to help a Latinx person in our community improve their English? Would you like to improve your Spanish? We can match you up with a language partner! The time commitment is limited, about one hour a week, when you will meet with your partner at an agreed-upon location, generally in Northeast Portland. The rewards go far beyond language learning. Make a new friend, help them navigate the complexities of living in the U.S., learn about their culture. Questions? Contact Deb at debkall2010@gmail.com. (13) Travel through Jewish History and Food the Portland Way, Wednesdays, May 8, 15, and 22, 10:00 am-12:00 noon – Travel the world. (And eat it!) Join Jewish educator David Feder to look at the travelogues of Benjamin of Tudela (900 years ago), Doña Gracia Mendes Nasi (500 years ago), and the Roden family (100 years ago) for a fascinating look into Jewish history that stretches from Spain and German to Persia and China. But this is not idle historical inquiry: we’ll turn primary sources into a lunch menu each day. Portland’s finest food carts will serve up the last piece of our study as we re-create our subject’s travels with our own forage through delicious downtown. If you think history can seem dry, you’ll love this look at our Jewish world travelers. Plus, you can always order the soup. Participants pay for their own food. Please RSVP here by May 1. Questions? Email David Feder at davidfeder@sbcglobal.net. 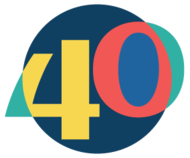 (14) Havurah 40th Anniversary Celebration, Sunday, May 19, 5:00-8:00 pm, Havurah – Havurah Shalom is 40 years old! Join us to celebrate and support your favorite community with shmoozing, food, drink and music! Whether you've been a member for one year or for 40, our party will be a great time to reflect on our history and look forward to the next 40 years! Party is for members age 21 and over. If you aren't available on May 19, you can donate to our Mitzvah Moment at the RSVP link below. Questions? Contact Debbi Nadell, debbinadell@gmail.com. RSVP Here for 40th Anniversary Celebration!